Two years after the second edition of the literary festival Etonnants Voyageurs Haiti was cancelled in extremis due to the devastating earthquake that struck January 12, 2010, the festival is back once again and will begin February 1st running until the 4th. Michel Le Bris, founder of the Etonnants Voyageurs literary festival in Brittany and Haitian writers Lyonel Trouillot and Dany Laferrière had been in Haiti two years ago waiting for writers to arrive when the ground began to tremble. They vowed to reschedule the festival as soon as possible. Last year general chaos, cholera and a multitude of other problems made the festival impossible. This year, with a newly elected Haitian president in place, the Franco-Haitian initiative became possible: the trio was able to get funding in record time from the Haitian Ministry of Culture, several private donors and French government organizations among which the French Embassy in Haiti, the Ministry of Culture, the Centre National du Livre (National Book Centre), Radio France Internationale and the French Institute. Some 40 writers including Jean-Marie Le Clézio, Régis Debray, Alain Mabanckou, and Léonora Miano, as well as Haitian authors Frankétienne, Rodney St. Eloi, Anthony Phelps and Evelyne Trouillot, will meet 2,000 high school students from different schools around the country, and will run workshops, roundtable discussions and readings — perhaps the most valuable aspect of the festival given that an estimated 80% of schools in the capital of Port au Prince were destroyed or damaged in 2010. The festival, which this year pays homage to Haitian poet Georges Castra, will also hold public debates on subjects such as the importance of poetry in times of crisis, the Arab Spring, and the power of myths. Painters and musicians such as Ernest Pignon Ernest and Arthur H will also travel to Haiti and will take part in film projections and public performances. Haitians are known for their extraordinary creativity, something that was proven in the wake of the earthquake. Haitian writers were quick to write texts published in newspapers around the world, which gave an alternate vision of the country so often associated with severe hardship. Publishers from France and Quebec had attended the first literary festival held in 2007, but Trouillot said the most important links are created when aspiring writers meet published authors and relationships develop. Given the fact that so many Haitian writers live outside of the country, and that young writers express themselves in French, English or Creole, creating networks of cross-border communication is essential for Haitians. 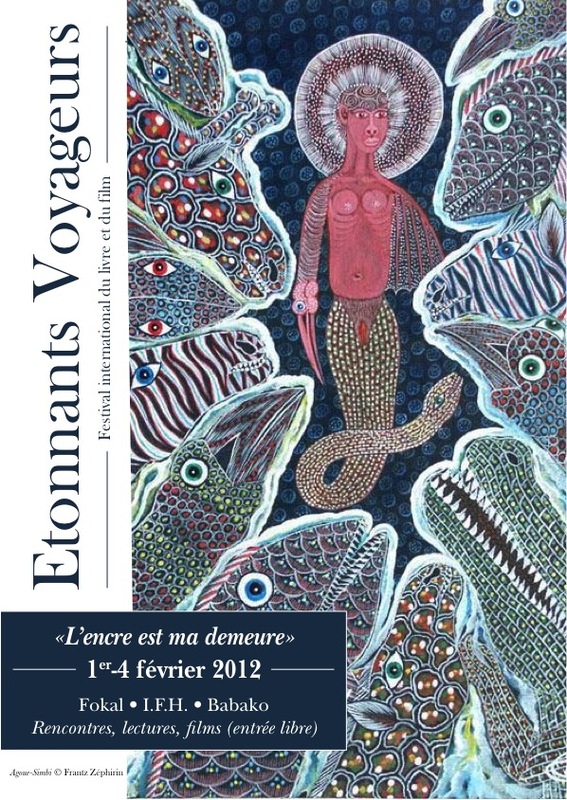 READ: Publishing Perspectives’ coverage of the 2010 Etonnants Voyageurs festival. DISCUSS: Does Publishing Exacerbate the Cliché that Haiti is Cursed?